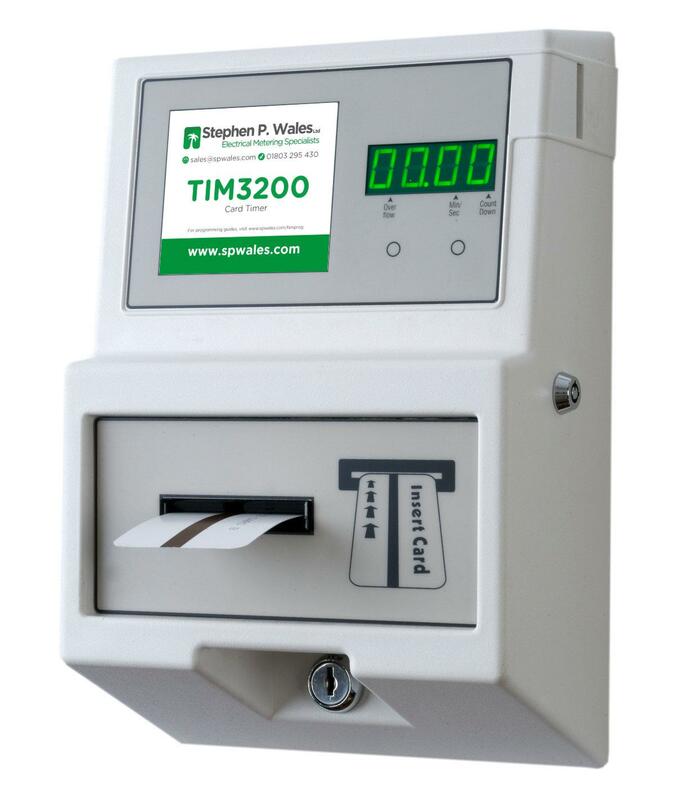 TIM3200 Card Meter | Stephen P. Wales Ltd. The TIM3200 Card Meter is the card taking equivalent to the TIM3100 and with all the same great features. Time can be set from one second to 99 hours and 59 minutes and the 13 Amp max. load supports devices drawing up to 3 kW. 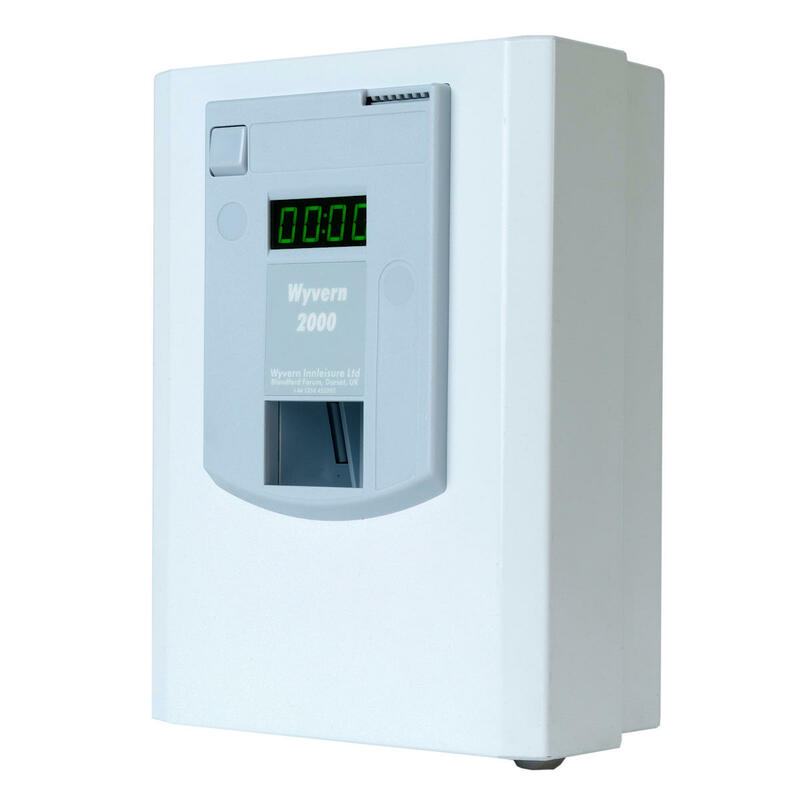 An external contactor is available for devices drawing up to 9.2 kW or 14.5 kW. A pre-start function allows a count down before the connected device operates and a pre-end function allows an audible warning to be given before the end of the allotted time period. A run-on function allows a secondary device, such as lighting, to continue for a pre-determined time once the allotted time has run out. A credit save feature allows customers to pause the connected device, with an optional 'start/stop' fascia available. Cards are supplied as either one or two session, (two session cards deliver double the set time, not two separate sessions), and a programming card, (supplied with the timer), is required to program the meter. Your logo and contact details can be included on the front cover of the timer. If required, select the optional extra and email us a copy of your logo to sales@spwales.com. While easy to program on site, we can pre-program your meter for you prior to dispatch. Just select the optional extra and enter your requirements upon placing your order, or feel free to call our friendly sales team who will be more than happy to help. Q: How do you put money on the cards, for the tennants to use. The cards used with the TIM3200 are one time use cards and are disposable. They are stamped by the timer on insertion, meaning they cannot be used again, and are made from cardboard, so can easily be recycled. 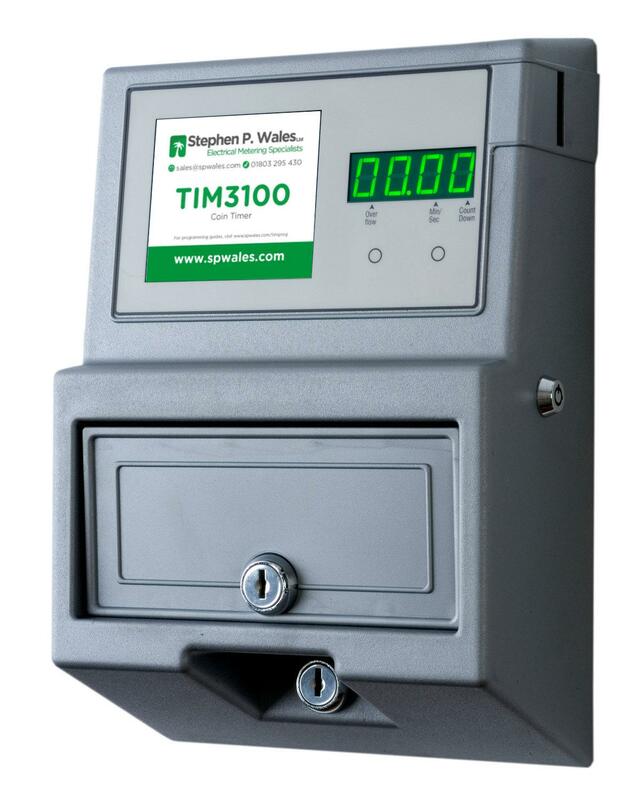 The TIM3500, (and TIM30, TIM3100 & TIM3200), has a 'Clear Credit on Power-up' feature, which allows you to control whether the timer retains any remaining credit or not, when powered down. Q: Does the key for one work for all, as looking to put these across multiple rental properties without needing many different types of keys? 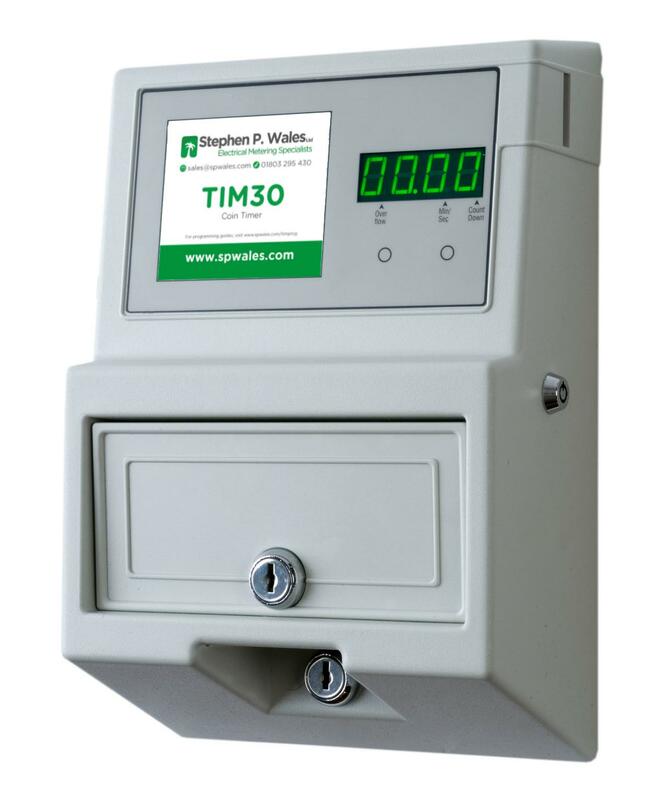 Q: Hi, I have lost the key to access the TIM 30 advanced programmable timer. It looks to be an older version than the one pictured as the keys look different. Do you supply replacement keys? I can email a photo if that helps? If you can email the serial number of the timer, (written on the base), we can confirm with the manufacturer which key code you require. Please Note, replacement keys will only be sold to customers who have previously purchased a corresponding timer through us or can verify that they are a legitimate customer, (e.g. a landlord).